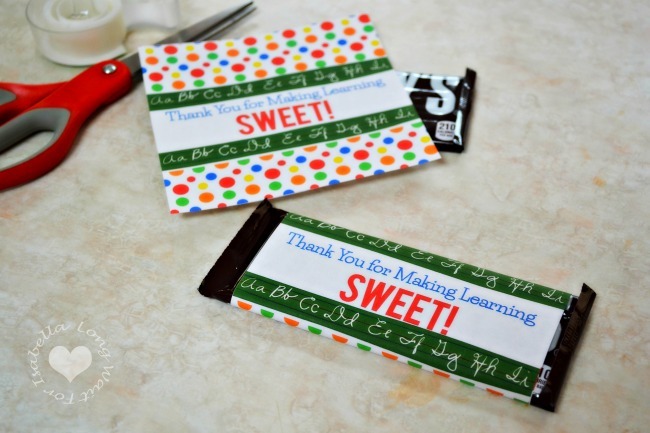 Tuesday, May 3rd is Teacher Appreciation Day this year. And teacher appreciation week is that whole week, May 2 – 6. Do you send something to school for your children’s teachers? We send our daughter to a small private Christian school and love the entire staff. Last year, we sent something small to show her teacher that we appreciate her. My daughter has the same teacher (she teaches 1-2 grade) this school year and we’ll send a sweet treat to her this year. Who doesn’t love chocolate, right? You can open this jpg image in a new window and print directly from here. Or you can open the PDF below and print from there. You can even save it for future use! 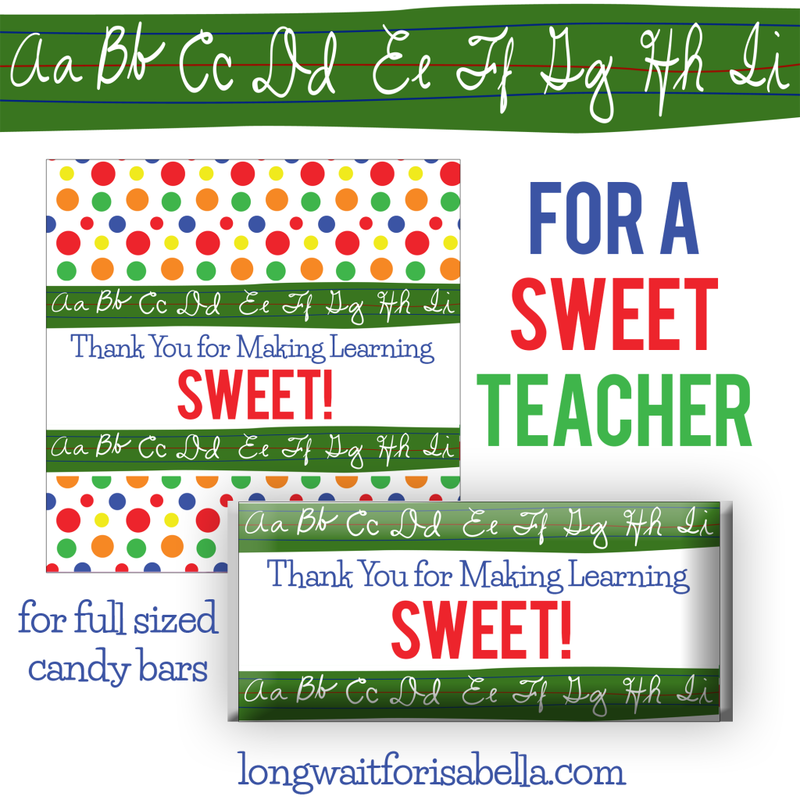 Here is the PDF printable: Teacher Appreciation Candy Wrapper. 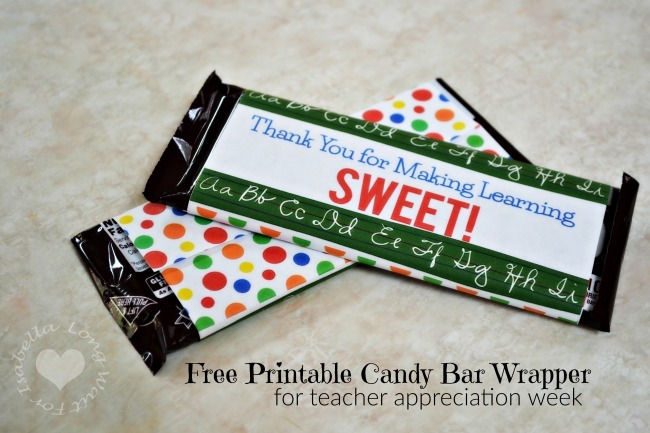 So easy, just print, cut out, wrap around standard sized candy bar, and tape closed. Voila! 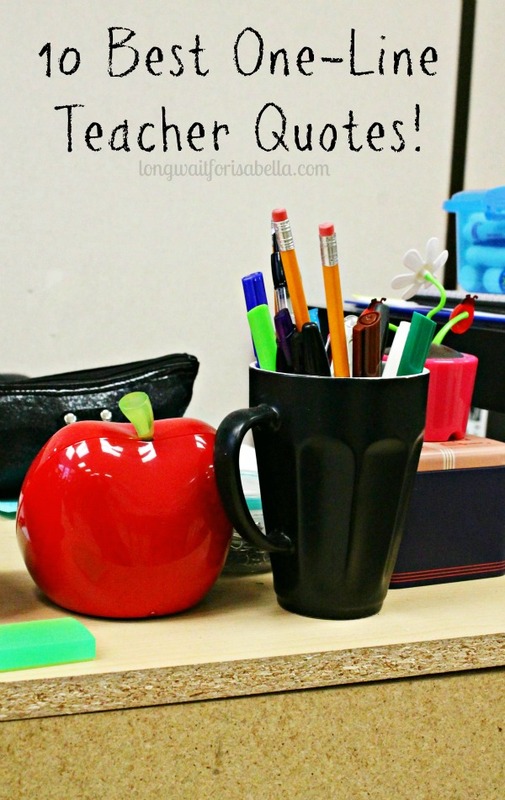 An easy, affordable, small gift for teacher’s desk. I love this! Thanks for sharing Lavonne!! My son loves doing nice things for his teacher, so I’m sure this will be a hit! I love simple things like this. I know her teacher does too!